Indian Women’s Cricket team made an emphatic start to their 3-ODI and 3-T20I bilateral series at New Zealand. 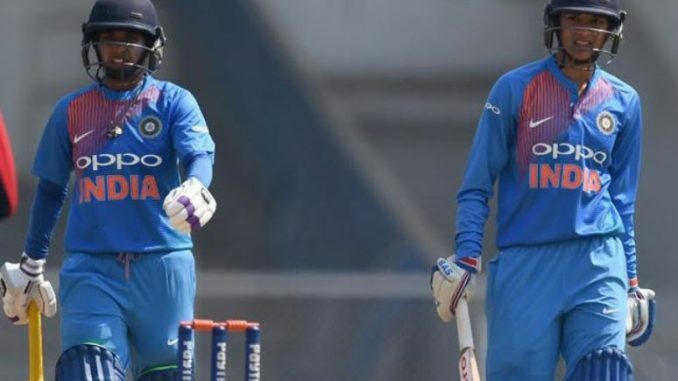 The spinners bowled them out below 200 while openers Smriti Mandhana and Jemimah Rodrigues added almost 200 runs as Mithali Raj led Indians won first ODI by 9 wickets with 102 balls remaining. Winning the toss, Indian Captain Mithali Raj elected to field. The devastating opener, Suzie Bates could score the highest 36 runs in 54 balls but with wickets falling around at regular intervals after 13th over the Kiwis found tough to score. After first wicket partnership of 61 runs, Devine was run out by Deepti Sharma. After that Poonam Yadav, Ekta Bisht with 3 wickets each, Deepti Sharma with 2 wickets caught Kiwis in a web of spin while Shikha Pandey grabbed the last wicket to bowl them out in 48.4 overs on 192. Indian openers made a mockery of chase as ICC ODI Player of the Year 2018, Smriti Mandhana scored her fourth ODI century. Jemimah Rodrigues scored unbeaten 81 runs of 94 balls with 9 fours and Mandhana scored 105 runs in 104 balls with 9 fours and 3 sixes. Kiwis tried 7 bowlers without much success as they were subjected to one of the worst ODI defeats.